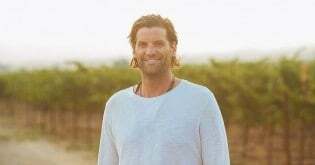 Meet Karl Wente, a fifth generation winegrower and winemaker at Wente Vineyards in Livermore, CA. As an owner of the country’s oldest family-owned winery, Karl is proud of the legacy his family started and appreciates the opportunity to make a living doing what he loves. Learn more about Karl, his family and why he’s become an avid bookworm! Karl: As a farmer of wine grapes, we follow the seasons and work with Mother Nature. It’s harvest time now at Wente Vineyards, so I’m spending a lot of time out in the vineyards. Also, the picking decision is one of the most important decisions that I make and we get one chance harvest per year. CA GROWN: What is your favorite part about your job? Karl: My favorite part of my job is that no two days are the same. We get to work with Mother Nature on a daily basis and I’m lucky to be making a living doing what I love to do. I’m blessed to work with and learn from my family on a daily basis, and I look forward to passing along what I’ve been doing to continuously improve our wine growing for the next generation. CA GROWN: What does it mean to you to have the country’s oldest family-owned and operated winery? Karl: I am quite proud that we are a 100% family-owned, sustainable business and that we have managed to keep our land, both vineyards and cattle ranch, in the family. I was raised with the philosophy that if you take care of the land, it will take care of you. For nearly 133 years, my family has had a commitment to healthy and sustainable soil, which leads to healthy and sustainable grapevines, which then leads to healthy and fruit-forward wines. I am proud to be a part of this heritage. Karl: One of our company and family values is sustainability, and part of sustainability is contributing to the community. My sister, Christine, oversees the Wente Foundation for Arts Education which builds on our track record of raising money for local arts education programs and formalizes our efforts in this area. With all of our wonderful wine and hospitality offerings, we are in a unique position to help raise money for worthwhile organizations. Karl: Be prepared to get up before the sun and try to find peace with the fact that Mother Nature bats last. I think ultimately it comes down to having patience, paying attention to detail and having a deep appreciation and respect for the land. Karl: Winemaking is in my blood. I grew up in the Livermore valley, one of California’s oldest wine/grape growing regions. The opportunity was there. I didn’t know what I wanted to do as an undergrad, but I knew if I went to graduate school, I’d figure it out. At UC Davis, I fell in love with plant physiology and the continuum of taking soil through the grapevine, tasting the growing flavors and textures that ultimately make the wine that people enjoy with their friends and family at the table. CA GROWN: What’s your favorite part of the winemaking process? Karl: As a winemaker, I really like the creativity that comes from blending and making that perfect balance of acidity, tannins and structure. It’s very similar to music, another passion of mine, which is all about finding the right balance of bass, drums and guitar. And I love that when it all comes together, people are enjoying the fruits of my labor. CA GROWN: What is your personal favorite wine that you create? Karl: That is like asking me which of my family I like best. At times, I may prefer to spend time with one member more than another, but in the end I love them equally. And that’s how I feel about the wines I create. For example, sometimes I’m in the mood for the Nth Degree Cabernet while other times I opt for the Louis Mel Sauvignon Blanc or Riva Ranch Chardonnay. It varies based on my mood and the season. CA GROWN: Wente Vineyards has been in business for 133 years now. What has contributed to your long-term success in the past and what are you doing to ensure continued success in the future? Karl: My great, great grandfather wanted a family legacy that everyone could share equally and be treated fairly. We are committed to passing on what we inherited to the next generation and with every decade that passes, the next generation of Wente leaders continues to move the business forward through innovation. As a fifth generation winemaker, I’m very proud to be carrying on that tradition. Along the way, we’ve made smart decisions that have allowed us to grow but we’re still a family-owned company committed to the same global vision of wine quality and integrity that our early pioneers helped establish. CA GROWN: How does it make you feel to know that your business has been successful through five generations of the Wente family? Karl: I’m really proud to be a part of a family that has worked hard for five generations. Each generation has made its own contribution to Wente Family Estates specifically and to winemaking in California in general. The lessons that every generation has passed down are those of perseverance in the face of adversity and always looking forward to the future. Karl: Other than wine, my passions include yoga, reading, telemarking and playing guitar. I made a New Year’s resolution a few years back to read 26 books a year—that’s a book every two-plus weeks. Believe it or not, I have kept it!